A house filled with unique and wonderful treasures brings warmth and the feeling of home. Pottery Barn furnishings, gifts, and accessories are a wonderful way to decorate the home with comfort, quality and style. Just click on the link at the end of the page for a Pottery Barn Application. Founders, Paul Secon and his brother Morris heard of a barn full of pottery. They decided to purchase all of the discontinued pottery for $2500 and rent a store on 10th Ave in New York City in 1949. They named it the Pottery Barn and after only a year, the local store became wildly successful. The Pottery Barn is a wholly owned subsidiary of Williams and Sonoma. They have two catalogue lines to offer customers in the retail furnishings industry. They have the traditional catalogue and a specific line that concentrates on their bed and bath products. Pottery Barn has many locations across the United States, Canada, Middle East, Australia, and Philippines and ships to over 90 countries. Pottery Barn is leading the way in sustainability and social responsibility. They use recycled material, sustainable construction materials, and utilize power generating systems, and have retrofitted their lightening systems. They believe in their surrounding communities by donating money to the St. Jude’s Research Hospital and have provided 1.1 million dollars in grants for family and youth shelters. Pottery Barn offers a myriad of careers in home furnishings. Pottery Barn careers can encompass every aspect of the company from an analytical mind to the people looking for jobs that are more creative. For career-minded individuals, buyer positions, engineers, and designers are available. For those looking for management positions, you will find jobs like general store manager and assistant manager. Working in the retail furnishings industry is an exciting place to work. The company offers entry-level positions that offer flexibility in their schedule. For those with some retail or customer service experience can find jobs as sales associate or stock associate. Jobs like those would be great for students needing a flexible schedule. How old do you have to be to work at Pottery Barn? 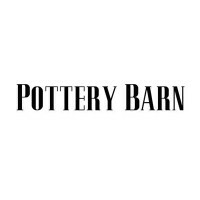 If you are interested in Pottery Barn jobs online or wanting to apply online, customer service or some retail experience are required for the position. Pottery Barn jobs are offered to those who are 18 years or older. Unfortunately, there is no printable application for Pottery Barn. They have a generous benefits package that includes health, vision, and dental insurance. They offer life and travel insurance, and short and long-term disability. Tax-free commuter benefits and employee assistance programs are available. A 401 (k) and other investment opportunities are offered as part of the benefits package. Depending on their location, normal hours of operation are Monday through Saturday 10:00 am to 9:00 pm and Sunday 12 pm to 6 pm. Pottery Barn jobs require flexibility in your schedule so be prepared to work weekends, nights, and holidays. Store may open longer for certain holiday periods. Sales Associate-Your job description entails excellent customer service. Answering questions about the product, maintain the overall presentation of the floor, manning cash registers and check-out area. You will also maintain the inventory and promote any sales or programs. You can expect a rate of pay to be $10.00 an hour. Stock Associate-Stock associates make sure the merchandise is presentable on the floor. Your job is critical to retail success. You will receive, unpack, process and organize and store inventory. Your job will be to assess the merchandise as it is received. Customer service will be a priority. Your wage will be about $10.00 an hour. General Manager– You will build customer loyalty and sales through events. You will model exemplary customer service. Training and motivating sales associates are part of your responsibilities. You will build store relationships and lead a team that follows all company procedure and policies. You can expect a salary of $70,000 a year. Assistant General Manager-You will lead and set an example for an excellent customer service experience. Your job will be to hire new employees and train new associates. You will take inventory and maintain stock on the floor. If the general manager is unavailable, you will fill that position. Your salary will be $48,000 to $55,000 a year. The company offers job opportunities for those seeking employment. Whether you apply online or fill out a direct application, you will want to research these possible interview questions. Why Pottery Barn? When you filled out an online application, did you have a specific reason you chose the store. You have other retail jobs to choose from, write down all the reasons you want to work for this company. What is the definition of customer service? They will be looking for a good definition of customer service. If you have none or a limited answer, you can think about the times where you were treated well and why did you think that was good service. Describe a time that you turned a situation from a bad one to a good one? In retail, there are always problems and customers complaints. Think about a time where you were able to help a customer with a problem. Why do you want this position and what makes you different from anyone else? This is your chance to shine and tell them about the assets that you will bring to the company. You are a unique individual; tell them why they need someone like you. Managerial positions have the responsibility to the customer and the company, a question that might come up, tell us about when you had to discipline an employee? As manager, you will run into those times when you have to correct a sales associate. The home furnishings company is known to ask out of the box questions like, if you were an animal what you be? They are looking for your creativity and possibly how you handle stress. Keep your answers short and to the point. Answer with something that has character traits that would lend itself to the job. How to apply for Pottery Barn online? To apply for jobs at Pottery Barn, you will click on the link below which will take you to the career page of Williams and Sonoma, a parent company of Pottery Barn. There are several categories to choose from, and you will pick the category that best suits your qualifications. Unfortunately, there is not a printable application form or a download application form. You can stop by the individual store for a Pottery Barn application if you prefer. Make sure you have an accurate resume and up to date references so that you can easily fill out the free application online. After you have picked a category, then peruse the jobs that fit your talents. You will hit the apply key, and another screen will pop up. In this screen, you can use your social media accounts to fill in the personal information, or you can hit the apply key and fill in the boxes yourself. After you have filled out the application form, a manager will call you for an interview if they are hiring for that position. Come prepared for either a one-to-one interview or a group interview. Since this is retail position selling to customers, be prepared for a demonstration of your customer service skills. They may ask you to pick an item and then pretend to sell the item to them. After the interview, ask them if there are any procedures you need to follow or if you can offer any more information about yourself. They see many applications in a day, so thank them for the opportunity to meet. An attitude of gratitude might set you apart from the sea of applicants. Modell’s: Modell’s offers opportunities for both, beginners and experienced roles. Sports Authority: See our resource page for more information on Sports Authority careers. Jared: Jared offers opportunities for both, beginners and experienced roles. Eastern Mountain Sports: Eastern Mountain Sports offers opportunities for both, beginners and experienced roles. Cartier: Visit the job application for Cartier to apply today.